The taxpayer funded Public Broadcasting Service, widely recognized as PBS, aired a documentary on Tuesday about the rise and fall of the Black Panther Party that had many on social media outraged. The documentary waxed poetic about the Panthers, painting them as a civic organization that fed the hungry and helped the poor. When it did mention violence to describe bloody events where police officers were killed, the documentary was careful to position the Panthers as the victims and the FBI and police as the aggressors. 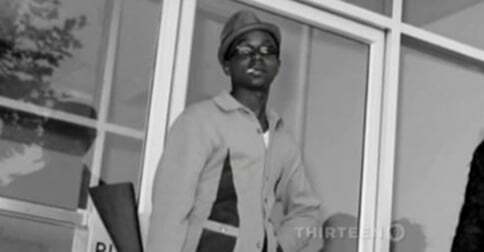 A case in point was the April 6, 1968 confrontation between the Panthers and police in West Oakland, California, that left four policeman wounded and one killed and resulted in the death of one Panther, Bobby Hutton. Hutton, who the documentary admitted was armed with a shotgun because he and his mentor Eldridge Cleaver “had this idea of actually, actively attacking police,” was presented as the victim of a government siege on Panthers who were innocently sitting in their West Oakland headquarters. Free speech guarantees everyone, including television networks, the right to broadcast what they like, but when your company is funded by the taxpayers, perhaps more deference should be paid to showing both sides of controversial topics. According to the Corporation for Public Broadcasting, it received $445 million in taxpayer monies in the fiscal year 2012. While the usual suspects, like liberal celebrity Bette Midler and TV One’s NewsOne anchor Roland Martin celebrated the documentary, others were outraged that a propaganda piece would be shown on publicly funded television and called for PBS to be defunded. #blackpantherspbs “Birth Of A Nation” for a new generation! PBS using YOUR TAX DOLLARS to promote terrorist group #BlackPanthers. Obama’s America. #BlackPanthersPBS #DefundPBS.